Boris TASLITZKY talks about the state censorship on his paintings deemed « politically incorrect ». 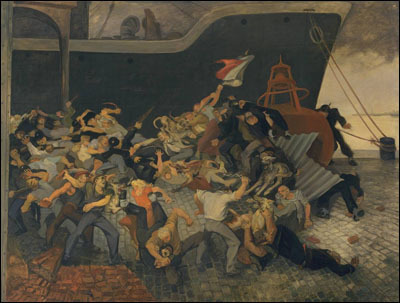 ...under the pseudonym of Julien Sorel, "The Prisoner" which depicts Henri Martin in his cell and under his own name « Riposte » which depicts the repression of a manifestation of dockers from Port-de-Bouc. These dockers refused to load weapons destined for the war in Indochina. 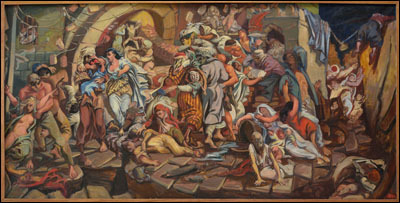 These paintings were taken off the exhibition wall of the Salon by order of Prefect Baylot, due to their "politically incorrect" nature. 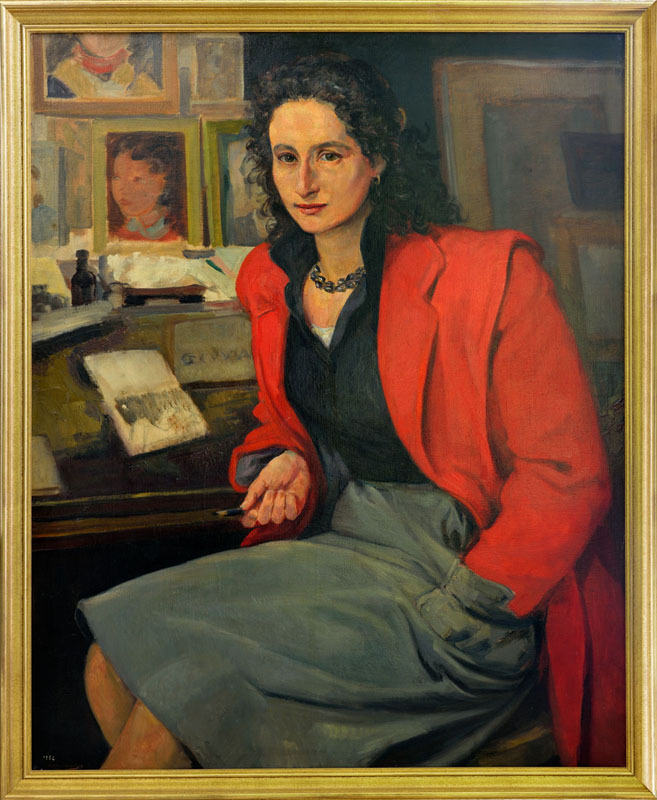 1952 : At the request of the Communist Party, report in Algeria with Mireille Miailhe. He brings back more than a hundred drawings. 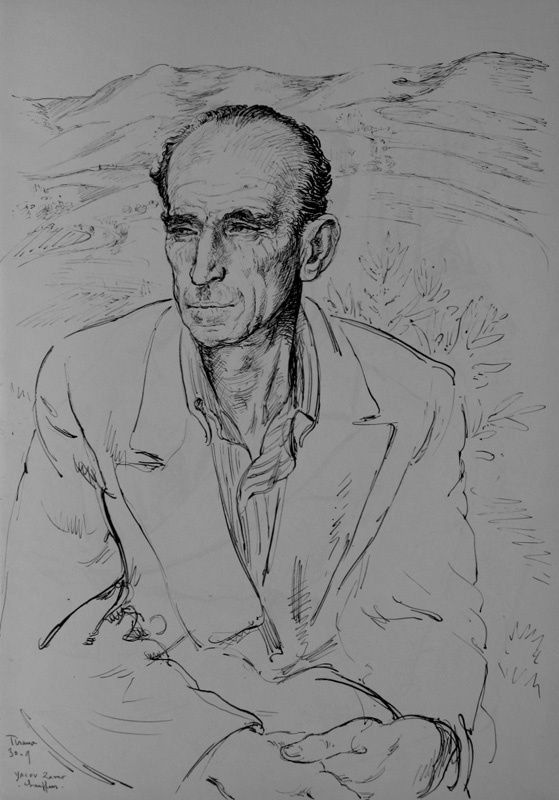 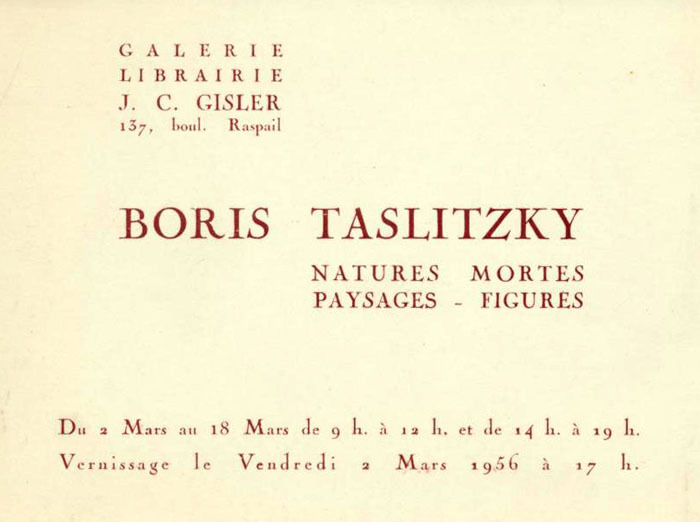 December 1952 : Publication of the book « Twenty-four drawings by Boris Taslitzky », preface by George Besson. 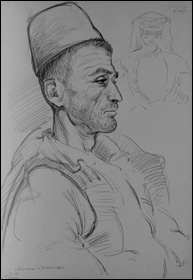 E.A.D Paris. 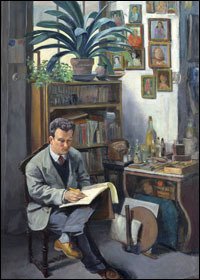 1954 : He paints « Earthquake in Orléansville ». 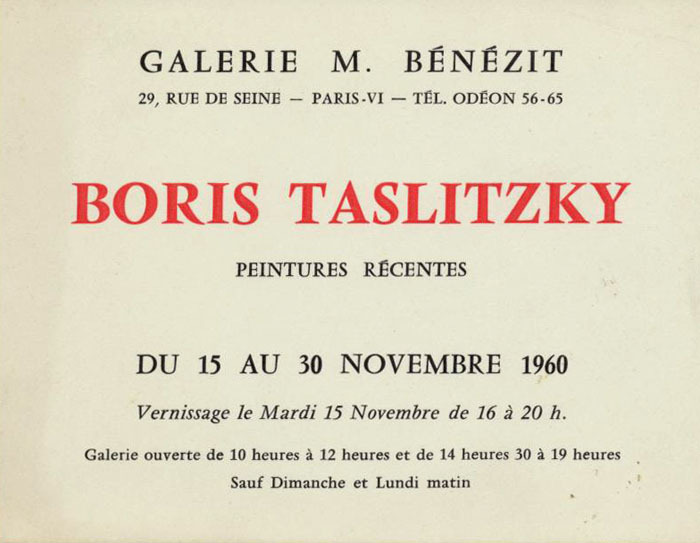 He preserves his studio in 3 rue Campagne Premiere yet he moves with his family to 5 rue Racine, in the 6th Parisian district. 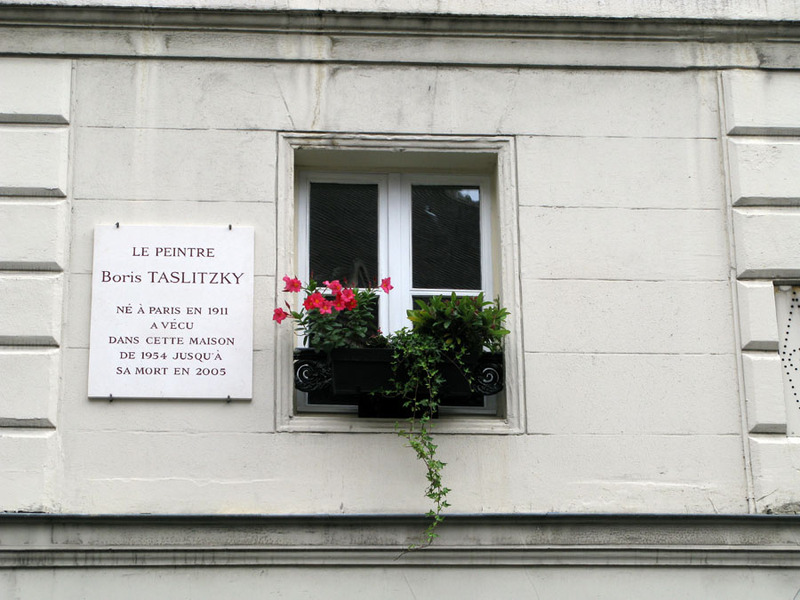 30th September 2011 : Inauguration of a commemorative plaque for the centenary of the birth of Boris Taslitzky in Paris, on the building of 5 rue Racine in the 6th Parisian district where he lived. 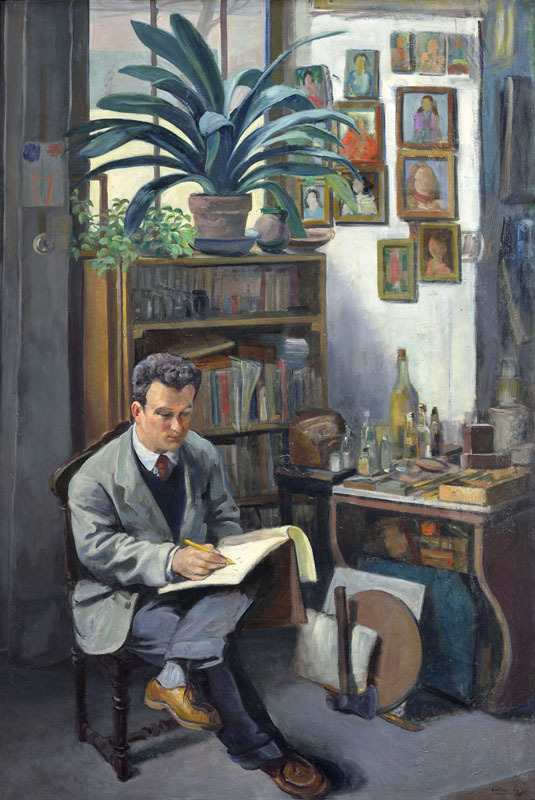 1956 : He exhibits « Man Reading in the Studio » at the Salon des Independants . 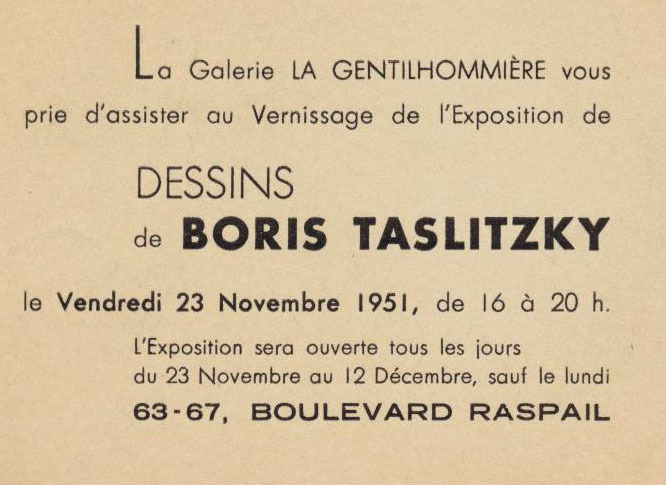 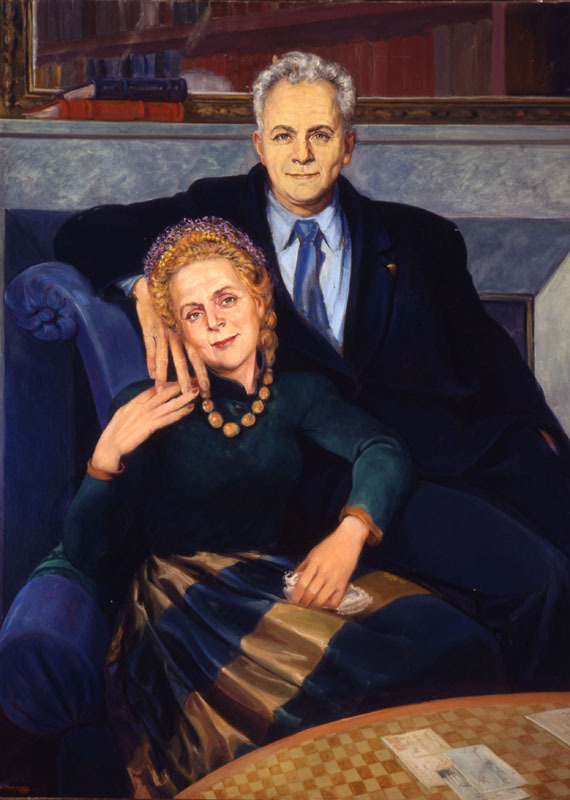 1956 : He exhibits « Portrait of Elsa Triolet and Louis Aragon » at the Salon of Painters Witnesses of their Times. 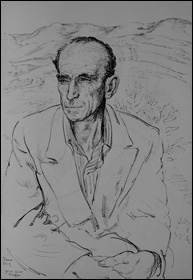 September - October 1957 : Journey to Albania. 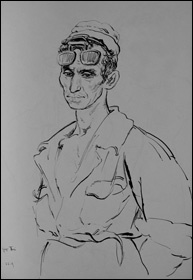 1959 : He exhibits « The steelmaker figure » at the Salon of Painters Witnesses of their Times (Salon des Peintres Témoins de leur Temps). 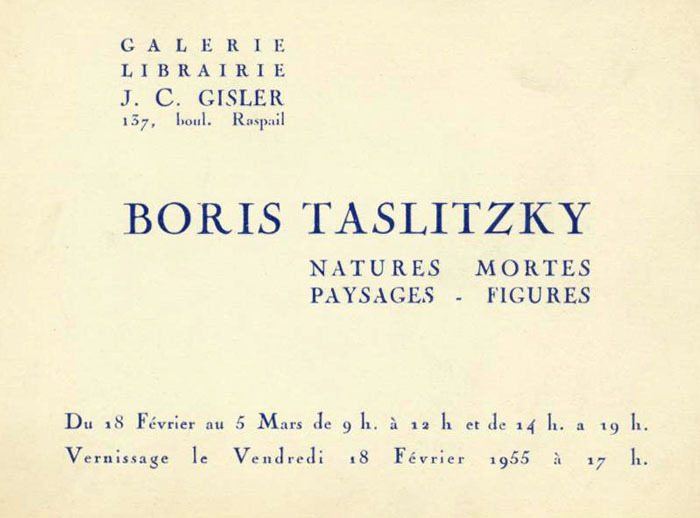 1959 : The autobiographical chronicle « Tu parles !... 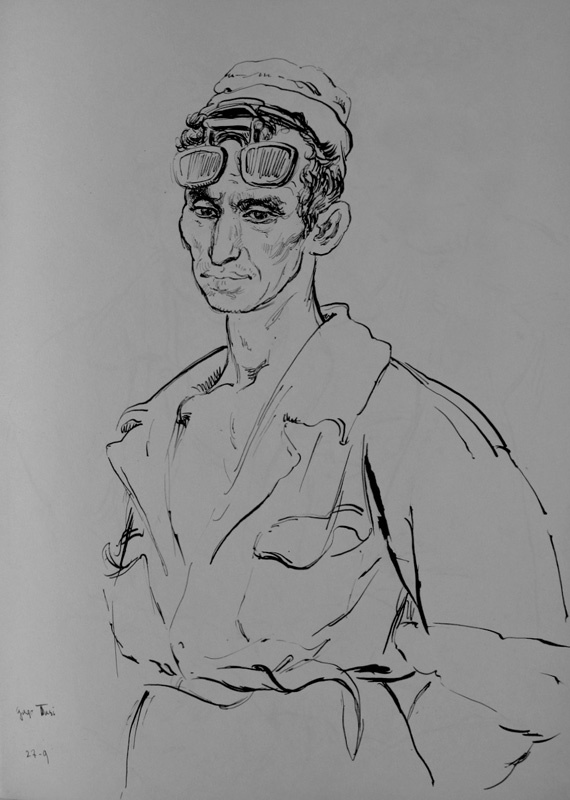 (You speak...)» is published by the French Reunited Editors.